Unipak is a leading folding carton and rigid box manufacturer. We use the finest technologies to ensure every package meets our quality standards and we stand by every package we produce. This standard has earned us a reputation for excellence and value in some of the most brand-conscious packaging markets: food and confections, pharmaceuticals and healthcare, cosmetics, entertainment and media, and specialty consumer goods such as crystal, glassware, apparel and board games. In today's market-driven world, packaging matters more than ever. For most products, the package is the most visible and impactful touchpoint for your brand. As a packaging manufacturer and design company, that's a big responsibility — one we've been proud to deliver for three generations. We truly believe that it's all in the packaging. 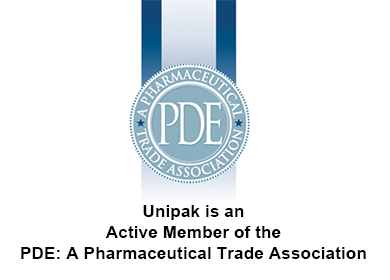 For nearly 50 years, Unipak has adapted to the changing needs of packaging customers. New regulations, new marketing challenges, varied quantities, and endless options with stock, inks, and specialty finishing have created opportunities and innovations to get more from your packaging. We work with customers from the concept and prototyping stage through to manufacturing and distribution. 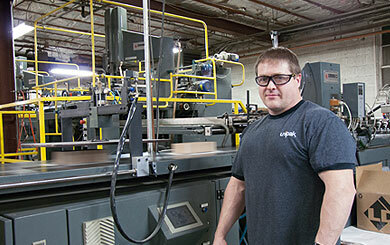 No matter what your manufacturing lifecycle looks like, Unipak has the experience you need. Unipak provides high-caliber graphic and structural design services to our clients. We realize not every company has a packaging design firm on retainer. At Unipak, our designers can help you right from the beginning, jump-in to answer questions, convert your concept to a live prototype and more. In short, we're here to help your products shine and sell. Packaging is one design area that will always be rooted in raw materials, which means we always keep cost considerations at the top of our list when working on client designs. A minimalist eco-friendly one piece solution isn't appropriate for every product. Sometimes, the product brand and nature (e.g. fine crystal) mean more substantial materials, and more sophisticated and involved design such as custom-wrapped rigid boxes with foil embossed logos. Whatever you need, Unipak's package designers are here with literally hundreds of examples to inspire you. Unipak provides VMI services for companies employing this model in their supply chains. Industries like foods, pharmaceuticals, healthcare and automotive supplies use VMI to improve their supply chain efficiencies. Beyond Just-in-time Delivery, the VMI concept aims to reduce inventory in your pipeline. With the pressures of quarterly earnings, Unipak understands the value of VMI to customers. Talk to our management about your VMI needs. We are centrally located in the Mid-Atlantic in suburban Philadelphia with easy access to virtually any transportation method. Fine offset-printing, foil stamping, embossing, die-stamping, exotic shapes and specialty materials set the stage for your imagination. Whether you're creating a rigid box, folded carton or custom tray, our versatility is at your service. Take a look at our portfolio in the top navigation bar and you'll see dozens of projects to inspire you. The trick is doing some of these things cost efficiently. At Unipak, we know the importance of packaging for a brand. It's the most visible form of marketing for any product and is the final stage in any sale. The package must deliver an impression while performing it's function. With our abilities you can create almost any impression you like. While people are the heart and soul of Unipak, our equipment is second to none. We invest in the machinery to maintain extraordinary quality, speed and consistency for full-service folding carton and rigid box manufacturing. As you explore our website you'll see the best-of-the-best from companies like Bobst, Komori, Emmeci and more. Our prepress department showcases the latest in direct-to-plate systems, color-management and software and hardware from Macintosh, HP, Epson, Adobe and more.